ASTANA: Kazakhstan announced on Tuesday its support and intention to join the China-Pakistan Economic Corridor (CPEC) in the long run when its Prime Minister Karim Massimov assured visiting Prime Minister Nawaz Sharif here that Kazakhstan would like to join the mega project as it would provide an alternative route to the Central Asian State for access to sea. The prime minister has enhanced interactions with Pakistan’s extended neighbourhood by establishing contacts with the Central Asian Republics. It is the fifth such visit of the prime minister to a country of this region in less than a year. The prime minister has shortened his stay in Astana and it is likely he will be returning to Islamabad in the afternoon today (Wednesday) instead of the evening. He has called off his recreational engagements and decided to return home on completion of the working part of the trip. Prime Minister Nawaz, who is visiting the richest country of the area with subsoil deposits, has brought 20 top industrialists and businessmen with him as no parliamentarian or family member is part of his entourage. Besides discussing ways and means to strengthen the bilateral ties, the two leaders also exchanged views on the regional and international issues of mutual interest. The prime minister, who is on a two-day official visit of Kazakhstan at the invitation of President Nursultan Nazarbayev, shared with Prime Minister Karim Massimov his government’s vision of establishing energy and trade corridors with the countries in Central Asia. Pakistani ports (Gwadar and Karachi) provide the shortest route to sea for the CARs, he said, adding that Pakistan was eager to see a prosperous Central Asia with all countries connected by rail, road and air-links and generating business. He noted that despite enormous economic complementarities, the bilateral trade between Pakistan and Kazakhstan was below the actual potential. He said the visa policy needed to be liberalised to gain maximum advantages in bilateral trade. He said, “Pakistan offers Kazakhstan the shortest access to the sea. Most of the Central Asian States had shown keen interest in using Pakistan’s sea ports for their exports,” he added. He urged the need for closer interaction at the Conference on Interaction and Confidence Building in Asia (CICA) and SCO. He said that Pakistan appreciated the constructive role Kazakhstan was playing in the Heart of Asia Process as well as in the Organisation for Security and Cooperation in Europe (OSCE) and the OIC (Organisation of Islamic Cooperation). The prime minister appreciated Kazakhstan’s support for Pakistan in acquiring full membership of the Shanghai Cooperation Organisation (SCO). Discussing the regional developments with the Kazakh prime minister, he said that Pakistan wanted to have good relations with all its neighbours, including India. About Afghanistan, he said, Pakistan and Kazakhstan had a common interest in a peaceful, stable and united Afghanistan. The two countries, he added, also supported an inclusive Afghan-led and Afghan-owned reconciliation process. The prime minister said stability in Afghanistan would bring prosperity and enhance cooperation in the entire region. Talking about terrorism, the prime minister said that Pakistan, which had suffered from terrorism for a decade, was now leading the fight against terrorism and extremism. He said the comprehensive and all-out law enforcement action Zarb-e-Azb against all the terrorist groups without distinction had yielded positive results. Nawaz said Pakistan had formulated a comprehensive National Action Plan (NAP) against terrorism. The premier thanked the Kazakh leadership for the warm welcome and hospitality and said he was very happy to be in Kazakhstan. He said that Pakistan appreciated the visionary leadership of Kazakhstan for bringing stability to its people. Prime Minister Karim Massimov thanked Nawaz Sharif for his second visit to Kazakhstan and said they remembered that Pakistan was one of the first countries to recognise the independence of Kazakhstan in the early 1990s. He said Pakistan was a brotherly country and Kazakhstan wanted to deepen its relations with it. 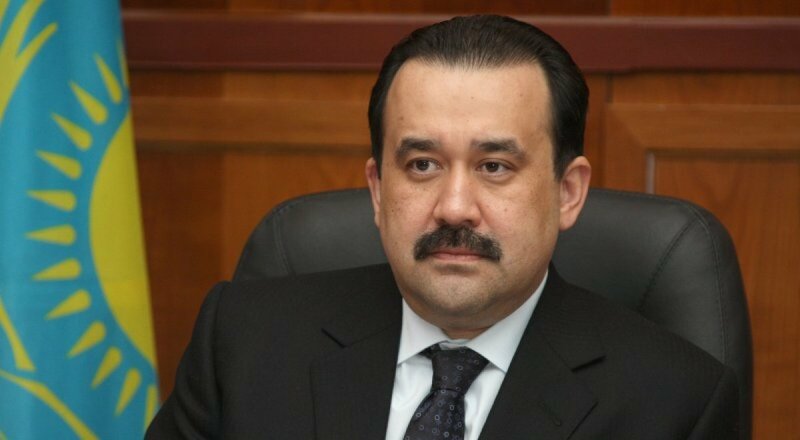 Massimov said that Pakistan had been supporting Kazakhstan at all international fora and the same had been reciprocated by Kazakhstan. He said there existed a huge room for cooperation in the areas of trade and investment between the two countries. He emphasised to make preparations for the next Joint Inter-Governmental Commission meeting to be held in Astana in October this year. The Kazakh prime minister also highlighted the need of cooperation for bringing peace in the region. Later, the Kazakh prime minister hosted a dinner in the honour of Prime Minister Nawaz Sharif and his entourage. The prime minister in a detailed interview carried by the leading English daily of Kazakhstan “Astana Times” said that the purpose of his visit to Kazakhstan was to further strengthen the ties, expand cooperation in different areas, and increase the bilateral trade, investment and economic cooperation. Nawaz stressed that both the sides needed to make efforts to utilise all available options, while simultaneously exploring new areas of cooperation. Responding to a question, Nawaz said Pakistan supported the Conference for Interaction and Confidence-Building Measures in Asia (CICA) process and actively participated in its activities. “Pakistan believes that adherence to the UN Charter is essential for peace, stability and security in Asia. Principles of non-interference in internal affairs, development of friendly relations and settlement of disputes through dialogue should be promoted. There is an intrinsic link between development and security. Therefore, we should focus on regional connectivity and building economic synergies,” Nawaz sad. “Pakistan admires Kazakhstan’s role for the international peace and security and has full confidence in our brotherly country and its visionary leadership. The Kazakh leadership created CICA, which contributes to peace and security. Kazakhstan is also an important member of SCO. We welcome Kazakhstan’s increasing role as a peace building centre,” he added. Earlier, Pakistan and Kazakhstan inked three Memoranda of Understanding (MOUs) for cooperation in the areas of trade and investment, defence and strategic studies and training in foreign services. Prime Minister Nawaz Sharif and his Kazakh counterpart witnessed the signing of MoUs.